May be used for bedside bathing, AM/PM cleanup, partial baths, and other skin cleansing needs. My husband is a paraplegic and had a very serious bed sore. When he came home after the hospital I brought home some leftover pads. All the ones I had used before were so flimsy they didn't last very long. I use these for about 5 days or more, and they hold up great. Very good product and does the job. Thank you. I bought the product after my son broke his hip and became wheel chair bound. We use it to bathe on the bed when he doesn't want to transfer to the shower. Great large shape! I also cut into quarters and stack next to the bathroom sink. Great for hand washing after toileting! I send them into school cut into quarters and in a plastic bag. I will continue to use these after my son heals! Better than baby wipes!!!! When my mother was in the hospital, we used this product. When she came home after a lengthy stay I made sure I found the product for her personal care. This is the best product and it keeps me from washing wash cloths every day. Just the right amount of suds and quite durable/disposable. Outstanding product. I love this product. I have an elderly family member that is unable to get in the shower or bathtub and this product is wonderful! My 88 year old mother has lived with me for over 4 years now. She has Alzheimer's Disease and has had frequent hospital stays over these years. She is incontinent and we regularly wash her bottom. She gets a bath/shower every other day. We use these bath sheets each night before bed just to make sure that she is clean. 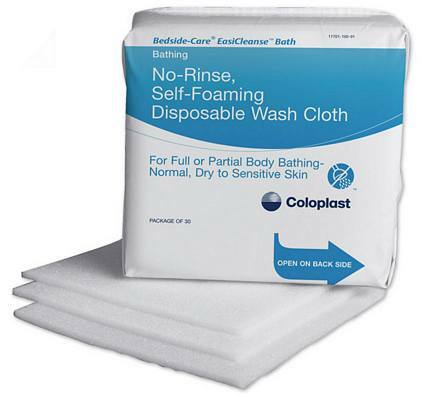 The Coloplast Bath Cleanse Sheets are awesome. I have been caring for my elderly mother for 7 years. For the past year she has been basically bed ridden and wears bariatric diapers. These bath cleanse sheets have made my job so much easier. My daughter is a nurse in labor and delivery and she is the one who told me about this product. I would highly recommend them. A double leg amputee, my wife is unable to get into the bathroom, and she requires in-bed bathing. When she is finally in her motorized chair, she goes in to kitchen table to brush teeth and, when needed, uses these bath sheets to wash her hair. They are perfect for this. Leaves hair clean-smelling, with no residue. No more shampoo caps for us. We received a package of these from the hospital when my husband was released a few years ago. I have tried several other types of wipes, but these are our favorite. They lather up nicely, clean well and don't leave residual soap that could be irritating. We really like them! Use product to care for dementia patient with incontinence. Soft yet sturdy and no rinsing necessary. Disposable! It is a great product. 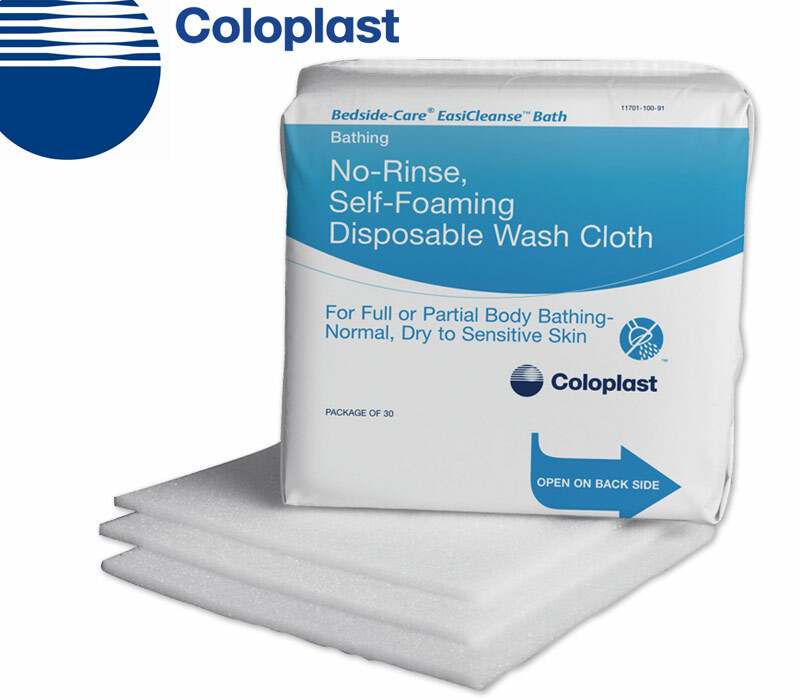 Makes it easy for caregiver to do bedside bathing without stressing the patient. I can't say enough about this product...love it! Used for homecare for elderly. Just add water and goes a long way in cleanup!